Free consultation including x-rays (if required) on braces, crowns, veneers, implants, denture and bridge work. We provide all our patients with a detailed treatment and price plan. Having major dental work is a big, but also, exciting decision. We understand you will want to meet with us and learn about your treatment options, time frames and prices. That’s why, at White Smile we offer a free consultation on all major dental work. Come and meet our team about your dental requirements. We will take x-rays free of charge if they are required and will give you all the options, time frames and a detailed treatment and price plan to take away. 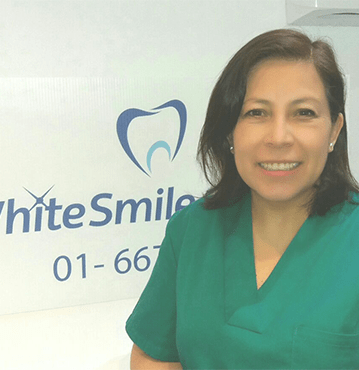 Contact us today at White Smile Dental in Mount Merrion, Dublin 4 to learn more about our dental treatments. Our dental team will discuss all of the options available and help choose the treatment most suitable for you.